Do you have questions about our Solarland solar panels, or questions about solar in general? Give us a call at 1-800-472-1142. With a nominal 12-volt DC output, the SLP030-12 30-watt solar panel is appropriate for off-grid applications including RVs, boats, getaway cabins, street lightning or water pumping. The SLP030-12 30-watt solar panel is built to last. 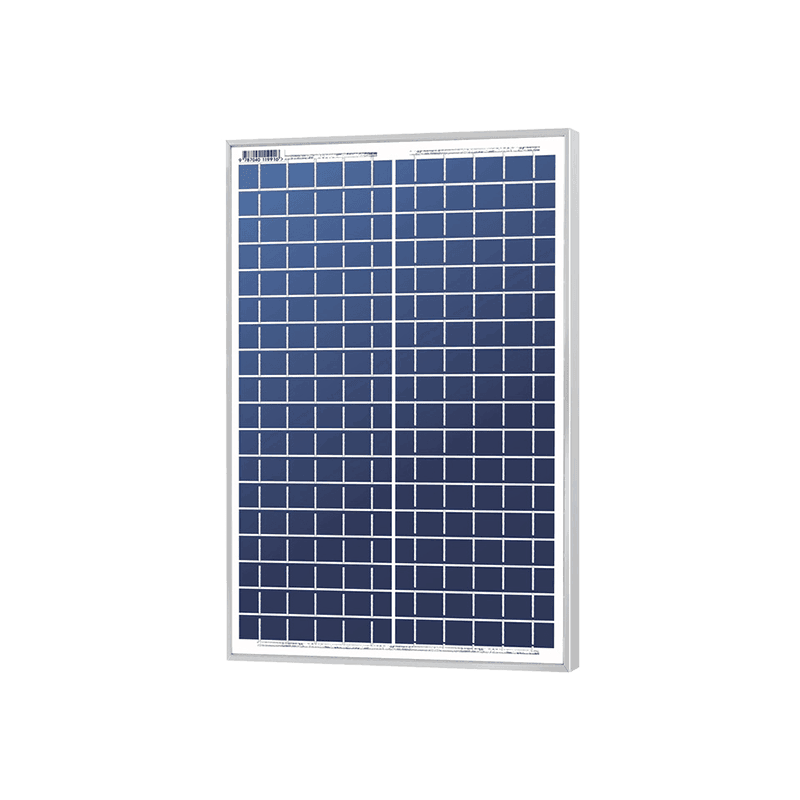 Made of 36 polycrystalline cells, high transparent low-iron glass, and sturdy anodized frames, the SLP030-12 30-watt solar panel will withstand heavy snowloads and high wind pressure. It comes with competitive warranty — a 25-year limited power warranty and a 5-year workmanship warranty. For more information on this panel, or any other panel, contact one of our technicians at 1-800-472-1142 today. Established in 2008, Solarland® USA is a leading supplier and distributor of solar panels and associated balance of system components into the North American market. With their head office located in Grayslake, IL, and their North American warehouse located in Ontario, California, they are positioned to effectively serve their distribution network across the whole region. Solarland® USA is a subsidiary of the Solarland® factory located in the city of Wuxi, in Jiangsu province in the Peoples Republic of China. Founded in 2003, Solarland® is a leading global manufacturer of high quality, state of the art 12V off-grid Rigid Solar Panels ranging from 1.5W - 280W, with some sizes available in 24V. All panels offered in North America feature high-efficient, non-Chinese cells/wafers and are covered by a 25 year manufacturer's warranty. Continual investment with expertise, research and development, facilities and equipment makes Solarland® the industry leader with off-grid solar systems and solutions.